Boater's Delight! Spacious Cape Cod style home set on a triple lot. 120 feet of bulkhead and over half an acre in Ocean Township. Only one turn between you and Barnegat Bay and a straight shot to the ocean. A spacious tiled foyer welcomes you to this remarkable open concept home with breathtaking views of the lagoon. Relax or entertain guests in the large and inviting living room, which features a spectacular picture window. Meal preparation is a breeze in the bright eat-in kitchen complete with plenty of cabinetry and an eat-at peninsula. Enjoy formal meals in the adjacent dining area. With oversized sliding doors and a stone facade gas fireplace, the great room will become your favorite place to relax and entertain. Sliding doors lead to a cathedral ceiling sun room with wall-to-wall, floor-to-ceiling windows and access to the dock. 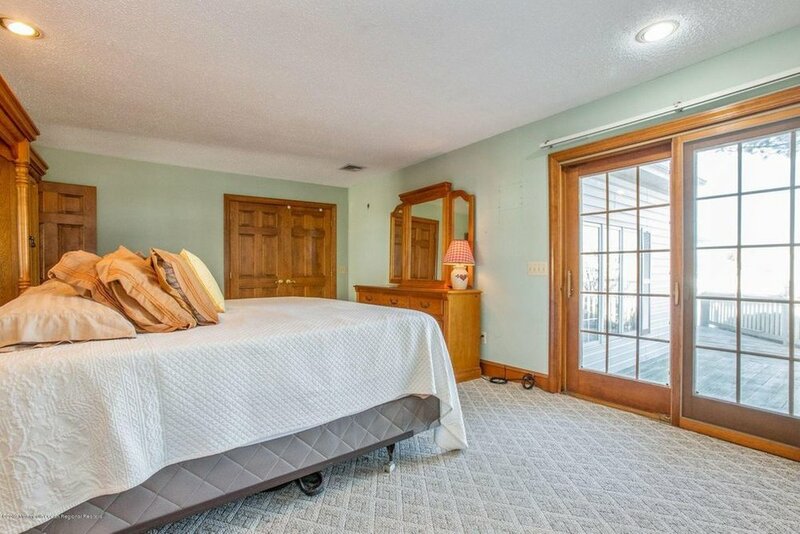 Two sunny bedrooms are opposite an immaculate full bath. Upstairs, there is an additional bedroom, full bathroom, and ample closet space. In addition, there is a bonus room, ideal as an office, playroom, or media room. There is an attached two car garage for your vehicles and storage needs. The extra detached garage has room for all your extras and would make a fantastic cabana! There is plenty of parking for all your guests or off-season storage. Just add your vision and make this home a truly unforgettable retreat.